There's a brand-new bar in Midtown. 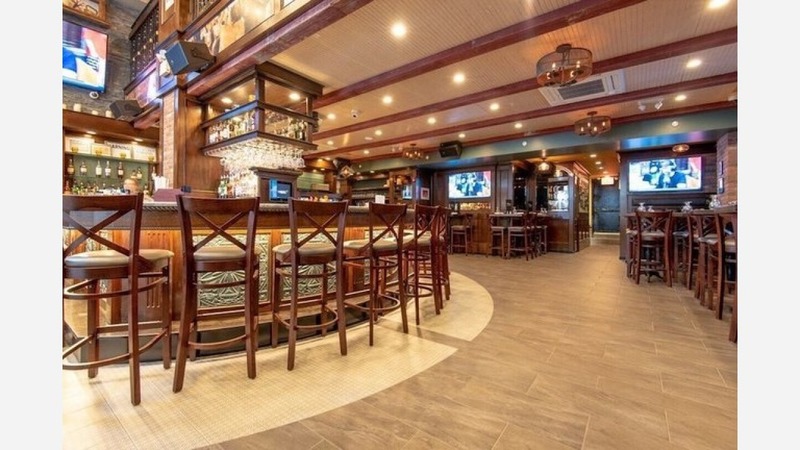 Called The Tailor Public House, the fresh arrival is located at 505 Eighth Ave. at 35th Street, a few blocks from Penn Station. Featuring two levels, you're likely to find New York sports teams playing on the numerous flat-screen televisions. Hungry? The food leans toward chicken sandwiches, fish and chips, and pizza, with lighter salads and fish options also available. Look for the crispy Thai chicken wings with red curry, pear and Gorgonzola flatbread and the 12-ounce New York strip steak with spring vegetables and bacon mashed potatoes. There's a happy hour (4-7 p.m.) featuring specials on wine, vodka and Bud Lite. Dozens of beers and cocktails like the Honeysuckle (rum, lemon, honey and cherry) round out the drink menu. The Tailor Public House is still making its way, with a three-star rating from 14 reviews on Yelp. Steve P., who was among the first Yelpers to review the new spot on May 29, said, "Found this place as we were making our usual pub crawl. So glad we did. Bar is fantastic! Roomy and great atmosphere. The beer selection was good and ice cold." Yelper Sarah K. added, "Obscenely overpriced garbage bar food, slow and inattentive service. Cavernous, boring, filled with tourists and creepy Midtown suits." Want to check it out for yourself? The Tailor Public House is open from 8 a.m.-4 a.m. every day.